With the Meteor Garden 流星花園 reboot expected to air soon, the cast started doing promotional guesting and recently, they joined in the games over at Happy Camp, a long-time Chinese variety show, in an episode that aired this weekend. It was quite entertaining and all the boys were ready to get down and dirty to win. 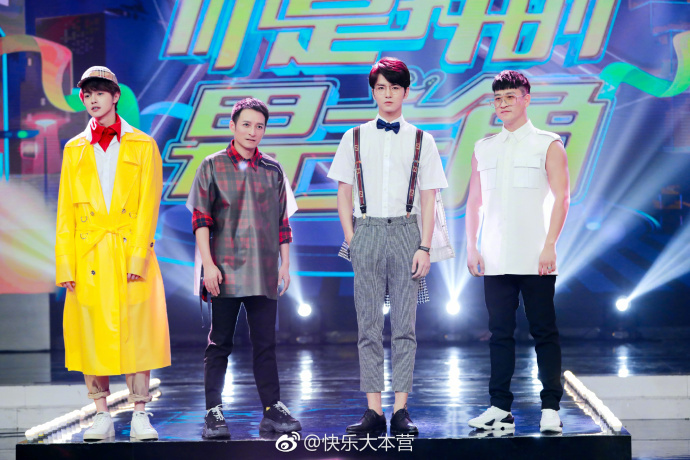 Shen Yue was joined by Darren Chen, Connor Leong, Caesar Wu and Dylan Wang. 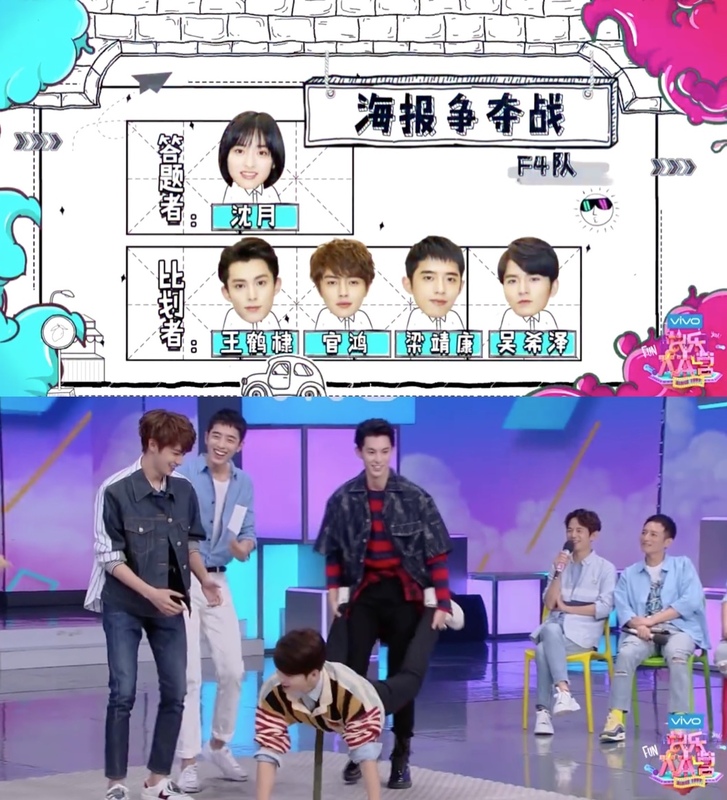 You can see an excerpt of the boys going all out in charades and Shen Yue trying her best to get the answer right. There was also a segment on the show where the boys strutted their stuff on the show's makeshift catwalk. It's more hilarious on video. I love how Caesar was able to keep a straight face! 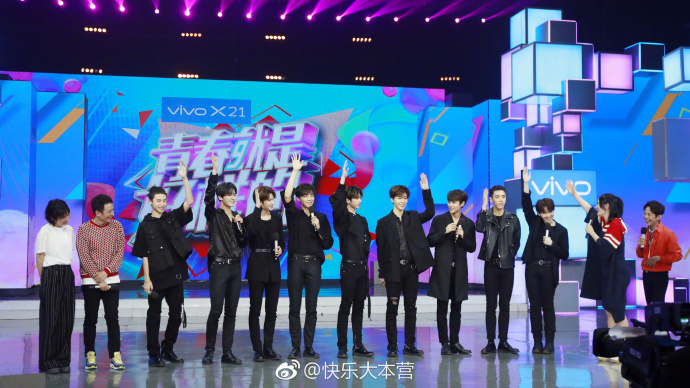 The boys of Nine Percent also just finished filming their own episode and will be Happy Camp's next guest on June 2nd! In case you missed it, Nine Percent is a new boyband born out of a reality talent show, Idol Producer. 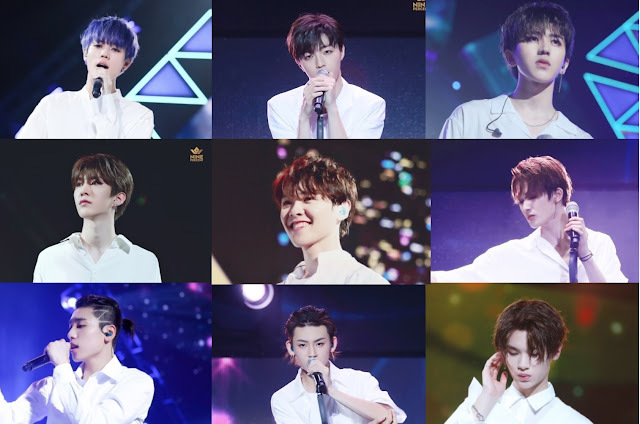 It is where the top 9 contenders form a new boyband and the top contenders who got the most number of votes were Cai Xukun, Chen Linong, Fan Chengcheng, Justin Huang Minghao, Lin Yanjun, Zhu Zhengting, Wang Ziyi, Xiao Gui and You Zhangjing. It will be the boys' first variety show appearance wherein they are finally complete. 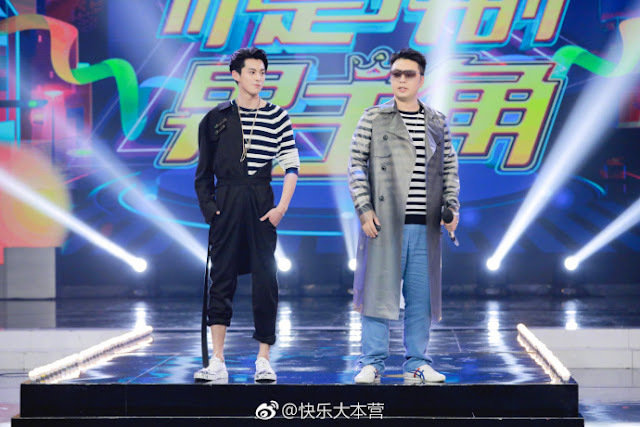 The first time they guest starred in Happy Camp, Lin Yanjun was missing and Cai Xukun couldn't make it to Keep Running, the Chinese version of Korea's Running Man. If you love the boys, mark your calendars for June 2nd!